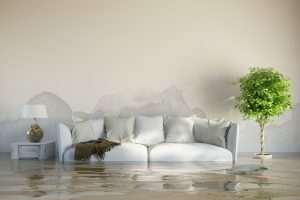 In the last blog entry, we addressed the possible scenarios where your home insurance policy may cover the water damage you have suffered. At the same time, we answered, in the most detailed way possible, what is covered by a water damage claim. 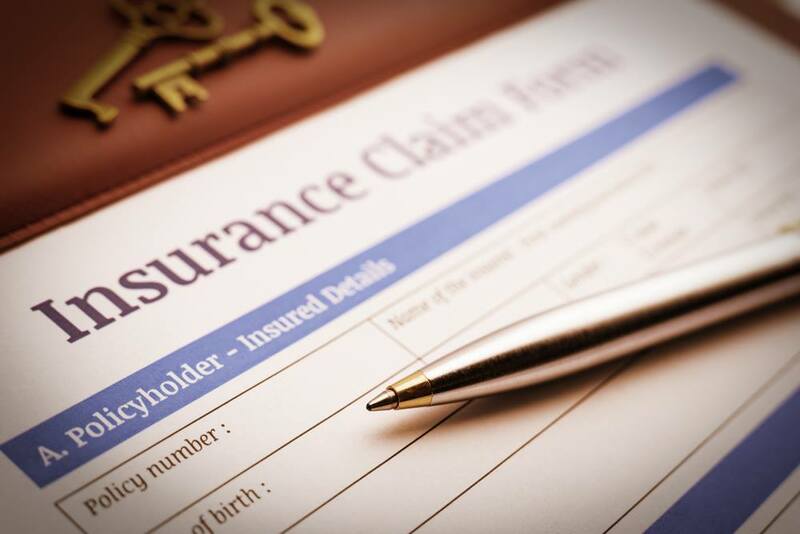 Now it is time to review your insurance policy concerning the type of coverages they offer. And that is because your homeowner’s insurance policy has several sections that define the coverage you purchased. Often, these are labeled as Coverage A through Coverage F. To understand what’s covered by homeowners insurance in a water damage claim; we can focus on Coverage A through Coverage D.
Coverage A, also called dwelling coverage, pays toward rebuilding your home if it’s damaged in a covered claim. In many cases, water damage is a covered peril, so Coverage A pays toward the cost of repairing or rebuilding your home after the water claim. While It isn’t likely that water damage will cause a total loss for your home, requiring a complete rebuild, water damage can be expensive and the cost to repair your home might be higher than you think. Imagine a burst water pipe, a covered peril, and the amount of water that can escape from the burst pipe in just a few minutes — the time it takes to find the main water shut off valve. Now imagine that same pipe bursting — but this time, nobody is home. It’s safe to assume the damage won’t be contained to one room or even one floor. Water will seep into everything you can imagine — and some areas you didn’t even think possible. Coverage A provides coverage to repair the damage from that burst pipe or similar sudden and accidental water damage, subject to your coverage limits and less your deductible. In a case where water damage is extensive, the coverage limits of your policy can be tested. You’ll want to be sure your homeowner’s insurance policy provides enough coverage to rebuild your home completely. Most cases of water damage, while expensive to completely repair, don’t require a full rebuild — but many items will probably need to be rebuilt or replaced. What Might Need to be Replaced Due to Water Damage? All of the following are considered part of your home — because they are attached, or part of the home’s structure — and are covered under Coverage A (dwelling coverage). Flooring: If needed, any type of flooring can be replaced if damaged in a covered water damage claim, including tile, laminate, wood floors, or carpeting. A standard home insurance policy provides coverage for repair or replacement with like materials — so a hardwood floor that needs to be replaced should be replaced with hardwood flooring of similar quality. Ceilings: There are several scenarios involving water damage that could require repair or replacement of the ceiling in one or more rooms of your home. If water came in through the roof or seams during a storm, the ceiling might need to be replaced. Also, if a spill or overflow on one floor of your home leaked through to the ceiling on the floor below, the ceiling on the lower floor might need to be replaced. Drywall: Modern drywall is extremely absorbent and tends to hold moisture once it gets wet. This can lead to weakening and disintegration of the drywall as well as difficult-to-remedy mold problems. Wall treatments and Insulation: Insulation on outer walls can also be a place to trap moisture due to a water damage claim. Wall coverings and trim can also warp, become discolored, or trap moisture that can cause future problems. Electrical outlets, wiring, or electrical fixtures: Moisture in the walls can lead to electrical problems and intermittent power-on affected circuits. Wood or support structures: Most homes are made with 2×4 wood studs. Rusted nails and wet wood trapped inside walls can weaken your home’s structure or create unsightly warping. Coverage for water damage applies anywhere in your home — including the basement — assuming the water damage was caused by a covered peril. For example, a flooded basement due to a water heater failure would be covered — but a flooded basement due to seepage during a rainstorm would not be covered. The rain seepage would be considered a flood, which requires a special flood insurance policy. Dwelling coverage also pays for damage from roof leaks. However, the same general rule applies: the damage has to be sudden and accidental. A strong storm that removes part of the roof and causes a leak would be a covered claim. However, a water damage claim caused by worn shingles or shingles that have been missing for a while might be denied. Your home insurance policy also provides coverage for sheds, detached garages, workshops, etc. This coverage is called Coverage B. Most water damage claims are for the home itself, but it’s possible to have a water damage claim for a detached garage or workshop. Usually, Coverage B is assigned a default value of 10 percent of Coverage A. If your home is insured for $300,000, the default coverage for Other Structures would be $30,000. This amount can usually be raised if needed, but it has to be changed before you have a claim to benefit from the higher coverage limit. Water can also damage your personal belongings. Furniture, electronics, appliances, and decor are all vulnerable to water damage and, in some cases, may need to be replaced. Coverage for personal property can work differently than coverage for structures and the house itself. Most homeowners insurance policies cover the house (and other structures) for the full cost of rebuilding. Personal property, however, is often covered for actual cash value — which means that your belongings are covered for a depreciated value based on wear and tear due to age. If you lose the contents of more than one room to water damage, the cost of replacing your belongings can climb quickly. If your coverage only provides an actual cash value for personal property, you could find yourself with some empty rooms after the claim because the payout isn’t high enough to replace your water-damaged belongings. Review your property coverage with your agent or an insurance expert, like a public adjuster, to be sure you have enough coverage. You can add a rider to some policies to change your coverage to full replacement cost, which pays for the full cost if you replace the items damaged in a covered claim. Because damage from water can be so extensive, there are times when a water damage claim can force you out of your home temporarily. Most home insurance policies provide coverage for temporary lodging and for eating out. The amount of money your insurer will pay for a loss of use depends on the coverage limit you’ve chosen. The default amount of coverage for some policies is fairly low but can be increased if you make the change before you have a claim. 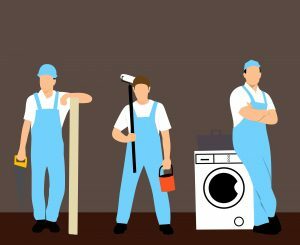 If the water damage to your home requires massive repairs, it’s possible that you could be out of your home for weeks — or even months. Now that we walk through the types of coverage offered by your home insurance policy and you have a better understanding of its rage, you are ready to place a water damage claim… And yet you feel some assistance from a Public Adjuster could be helpful? It is a simple process that starts with a call or e-mail, where you will schedule an appointment with Stellar Public Adjusters. We will go to the premises, examine the damage, and review your insurance policy. We are always here for you because we understand that damage or disasters do not follow regular business hours schedules.